After Kenya burned its ivory stockpiles in 1989, Ivory Trade was banned by the 175 member countries to the Convention on International Trade in Endangered Species (CITES). 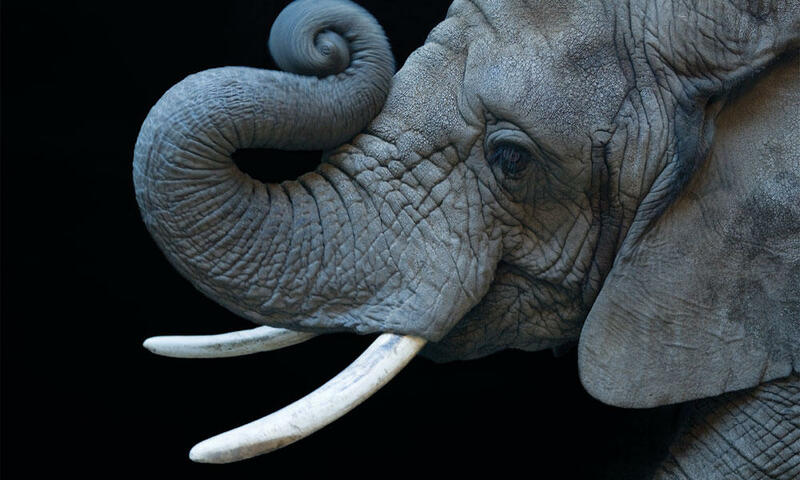 In 1997 they allowed a “one-off” sale of 40 tons of ivory from Namibia, Botswana and Zimbabwe. Poaching soared everywhere. In 2002 CITES agreed to another “one-off” sale adding in Zambia and South Africa to the other three countries allowed to sell ivory. In 2007 they increased the amount to 110 tons, but also agreed on a moratorium on any further requests for sales for 9 years. It’s a very touchy subject, and one that continues to cause concern. At each CITES convention, some African countries lobby to open ivory trade. The truth is, as soon as people start considering ivory trade, even just talking about voting on it, elephant poaching goes way up. It’s as if everyone wants to get as much ivory as they can for what they think is the inevitable day the trade returns – or the last elephant has died – whichever comes first. Given the seeming impossibility of stopping the markets, we believe that making local residents aware of what they stand to lose if they lose their elephants is the best way to slow down and hopefully stop this disaster. 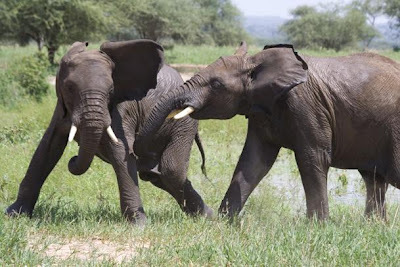 Poachers must move through communities surrounding National Parks, and if those communities are vigilant, they report them to Kenya Wildlife Service (KWS) or the police in hopes to stop them. Community members don’t always understand the elephant’s role as a keystone species in the environment. A keystone species is a species that has a disproportionately large effect on its environment and plays a key role in maintaining the balance of all other species in the community. In Africa, forest is often referred to as 'the bush', thus wildlife and the meat derived from it is referred to as 'bushmeat' (in French - viande de brousse). This term applies to all wildlife species, including threatened and endangered, used for meat including: elephant; gorilla; chimpanzee and other primates; forest antelope (duikers); crocodile; porcupine; bush pig; cane rat; pangolin; monitor lizard; guinea fowl; etc. They could be eating themselves out of a future. They don't know that deforestation brings drought – trees attract rain. They sometimes think trees take away the precious water rather than hold it in the ecosystem. They don't realize how much money tourism brings into Kenya’s economy and how that money actually benefits everyone. Without the existence of wildlife, the tourism will end.